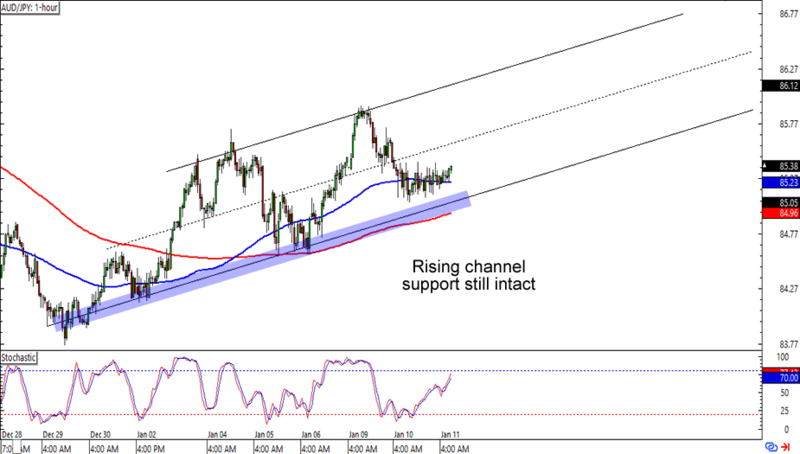 First up is a nice and simple trend play on AUD/JPY. The pair is having trouble breaking below the 85.00 major psychological handle, which is right where the rising channel support is on the 1-hour time frame. What’s more, it’s also near the 100 and 200 SMAs on the chart! A long trade at market could still get you a pretty sweet deal especially if you aim for the previous highs. Make sure you don’t put tight stops though, as yen crosses like these can tolerate volatility like nobody’s business! Here’s one for my breakout peeps out there! CAD/JPY bears are defending the 89.00 major psychological handle well, enough to cause a double top pattern around the area. This time around a divergence has also popped up to entice the bears. Think the Loonie will break below the “neckline” around the 86.00 handle? Or will forex playas pay more attention to the 100 SMA almost crossing above the 200 SMA and push an upside breakout? 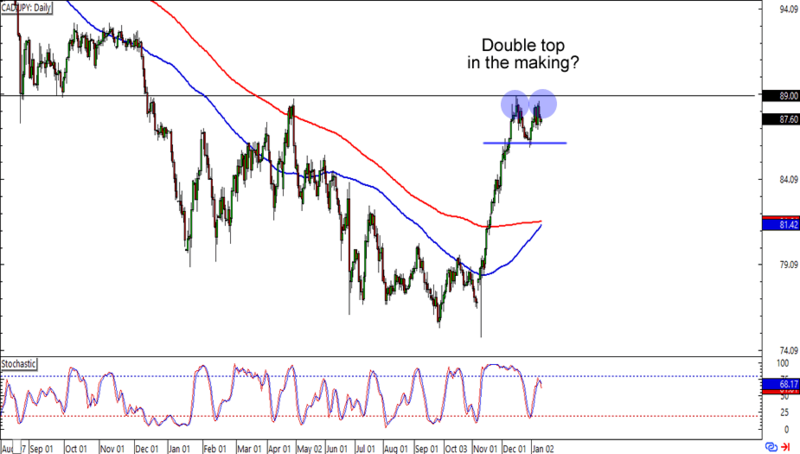 Read up on trading double tops and bottoms like these if you haven’t done it yet!